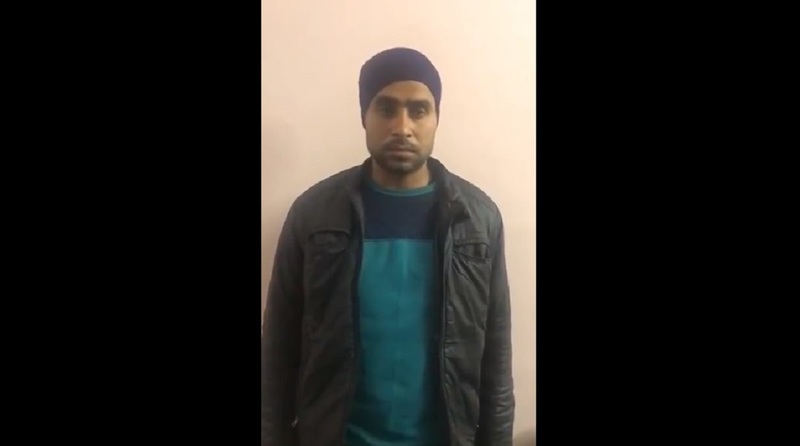 One of the main accused wanted for the Syana violence, Jitendra Malik alias Jeetu Fauji, was handed over to the police by the Army on late Saturday night. Fauji, who is the main suspect in the murder of Inspector Subodh Kumar was handed over to the STF in Bulandshahr by a team of Indian Army that had brought him from Sopore in Jammu and Kashmir. He was produced in the CJM court on Sunday after being interrogated by the STF in the police lines of Bulandshahr for about three hours. The STF has asked the court for his custody to gather more information from him in the case. The decision of the court is expected in the late evening. Fauji was brought by Army officials on late Saturday night to Meerut and handed over to the local police after procedural paperwork. He was then shifted to Bulandshahar in the night itself to hand him over to a team of SIT which is investigating Bulandshahr violence under the supervision of IG of Meerut range Ramkumar. There was a strong buzz about the arrest of Fauji after his wife Priyanka told the media that he would be brought to Meerut by an Army team on Saturday. Priyanka had spoken to her husband on Friday when he told her of the developments in this regard. Priyanka, however, claimed that her husband is being falsely implicated in the case. She was in the market at Syana with him when the violence broke out on December 3 after the news of cow slaughter spread which was followed by large-scale violence in which a village youth Sumit and Syana Inspector Subodh Kumar Singh were killed. Jitendra Malik alias Jeetu was named along with 27 others in the FIR in which over 60 unidentified rioters were also named. Jeetu is one of the main suspects in the killing of Inspector Subodh as he was allegedly seen standing near him in a video clip shot during the ongoing violence. Meanwhile, Jitendra’s brother Dharmendra Malik who is also in Army has sought help from CM Yogi for a fair probe claiming that his brother is a victim of a conspiracy. The SIT, however, will probe his role in the case and interrogate him to identify others involved in this case. Almost six days after the incident, police so far have arrested only 3 out of 28 persons named in the violence while the key accused Yogesh Raj, Bajrang Dal district convenor, BJP’s youth wing leader Shikhar Agarwal, and VHP activist Upendra Raghav are absconding. Yogesh Raj and Shikhar have also released their videos claiming their innocence. A campaign was also launched on social media to garner public support for Yogesh Raj.